At TC Service Center we believe vehicle alignment not only helps your tires last longer but improves driving handling and performance. 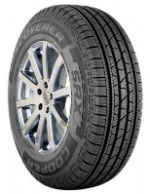 ALSO NEED TO SELECT NEW TIRES THAT ARE RIGHT FOR YOUR VEHICLE? Find a great selection in the brand of tires we highly recommend by visiting our TIRE SALES area. Our professional technicians are knowledgeable about vehicle alignment. A brief discussion with you about the current performance of the car/truck handling will allow them to diagnose and fix your alignment issue using our newly added equipment for tire removal, balancing and aligning. This will eliminate the annoying pulling, shimmy or vibration in your steering wheel. Call today to schedule service for a smoooother ride!